The Jacqueline is styled to fit into a modern or traditional bathroom setting. Oval freestanding bathtub with raised backrest and end drain. 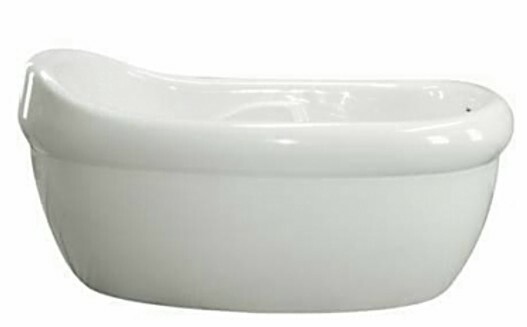 Comfortably curving armrest and reclining backrest add to the comfort of this bathtub. Hydro Systems offers many styles of tub systems. For those that just want to soak: Soaking Tub or Heated Soaker. Jacqueline with the Thermal Air releases heated bubbles for a soft tissue massage. For the deep tissue massage the Jacqueline comes in a 6 jet whirlpool. For the ultimate bathing experience, choose a combination of systems. 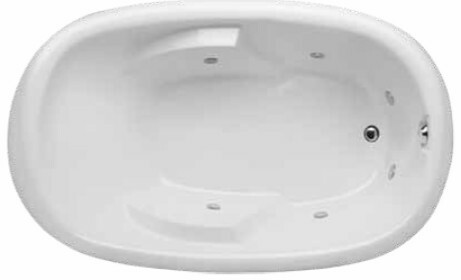 Bathtub Size: 66" x 40" x 24"
Water jets or air jets.